High gloss metalised emulsion, self shining polish for vinyl, thermoplastic and sealed floors. 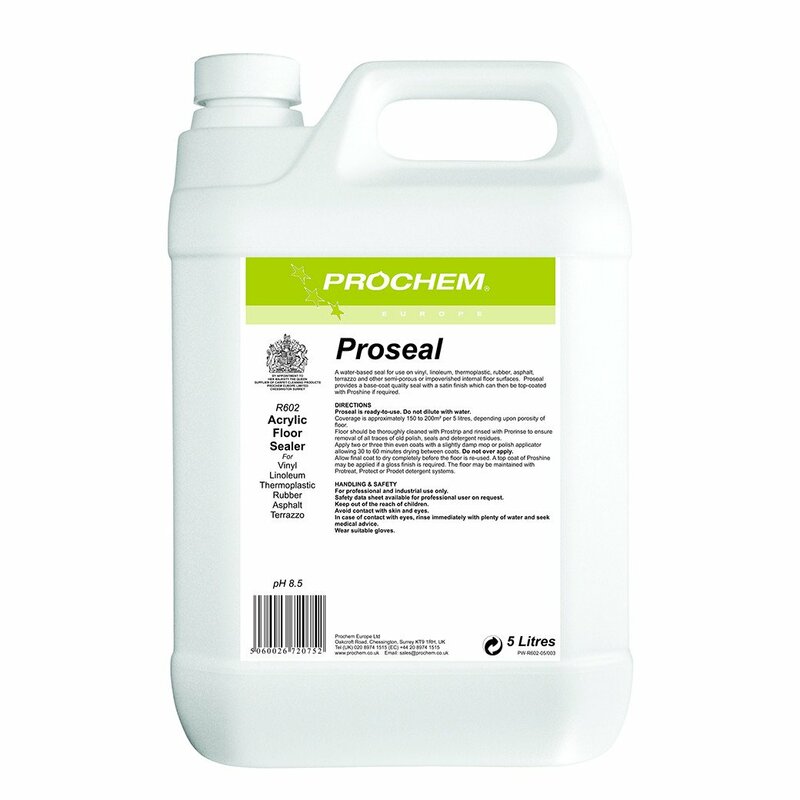 A water based acrylic seal for vinyl, rubber, asphalt, terrazzo, linoleum and semi porous floor surfaces. Provides base coat seal with a satin finish which can be top-coated with Proshine if required. White emulsion with acrylic odour. Coverage approx 150m2 per 5 litres. Prochem chemicals have a worldwide reputation for outstanding performance in the professional, commercial and institutional cleaning sectors. Specialist products cover a whole range of requirements for carpets, fabrics, floors and surface cleaning technologies and maintenance. Formulations are developed in-house to meet strict performance, safety, quality and environmental criteria. Prochem Europe chemicals are available from a network of selected distributors offering local supply, advice and training.